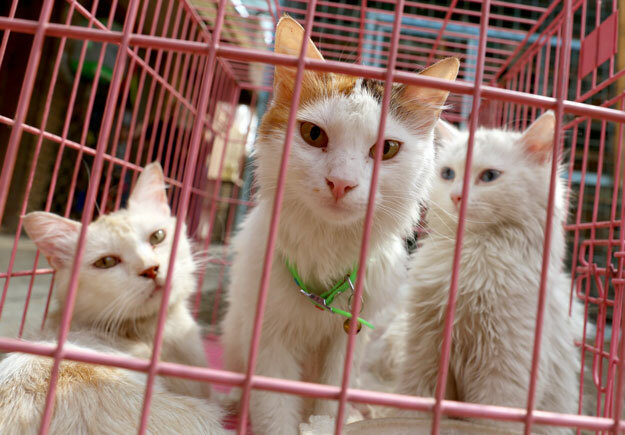 BAGHDAD: The welfare of stray cats and dogs roaming Iraq’s capital Baghdad is far from a priority for most residents after years of bloodshed and insecurity. Homeless animals typically face cruelty or even extermination on the streets of the city, but now some pet lovers are looking to use social media to change attitudes and find loving owners for the four-legged friends. Agricultural college student Assan Attallah, 22, has just helped get six dogs adopted after they were found in the impoverished Sadr City neighbourhood and is looking for homes for five more. So far Attallah has managed to find homes for some 25 animals after posting their pictures online. 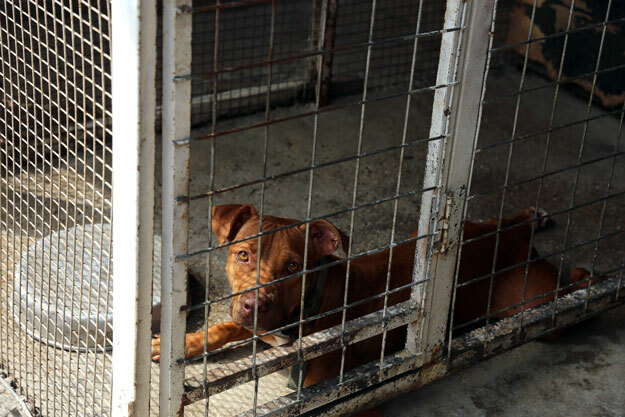 But trying to convince many locals to care about stray animals is a big challenge. Some 10 years ago, the authorities resorted to gunning down thousands of stray dogs with automatic rifles after claiming they were overrunning Baghdad. In a veterinary clinic in the north of Baghdad, Ahmad al Qaissy, 29, and his colleague Yaarub al-Shimmary, 30, are busy taking care of ginger cat Mishmish — whose name means “apricot” in Arabic — after he was dropped off by an owner who did not want him. After a life spent facing the perils of the street, it often takes a lot to get the dogs or cats into a fit enough state to find a new owner. 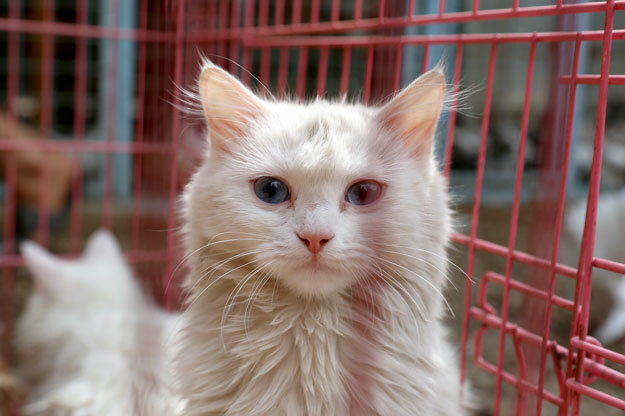 “Only when the animal is in good health and is not scared anymore are they ready for adoption,” Qaissy said. 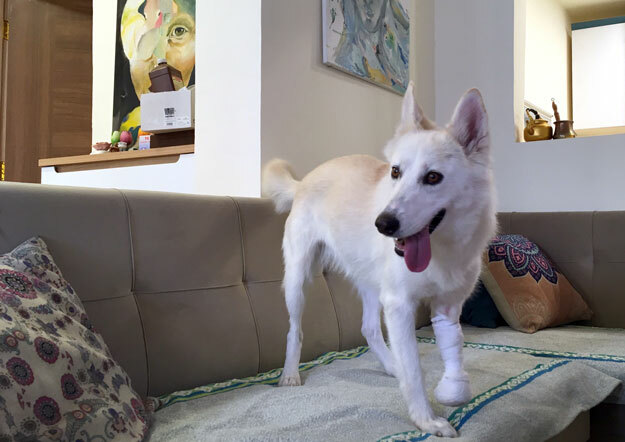 Like Attallah, the pair use social media to try to find homes for their patients. “We have 35,000 members on our Facebook page and when people are interested in adoption we ask the candidates some questions to be sure the animals will be treated well,” Shimmary said. For those lucky enough to find an owner, their new match can turn out to be just perfect. 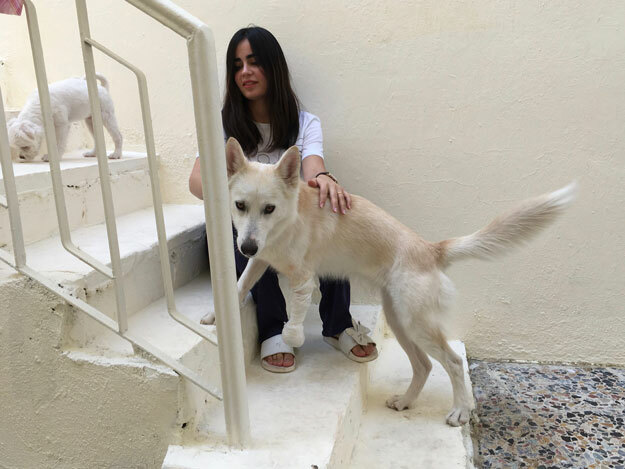 Marina Jaber, 26, dotes over 11-month-old pet dog Majnoona — which means “crazy” in Arabic — after welcoming her into her home. The post Iraqi animal lovers go online to help save Baghdad’s strays appeared first on The Express Tribune.